If you're getting Cash Back, you will receive a credit on your August statement. The Connexus Energy Cash Program is a benefit of your most powerful membership™. Read answers to Frequently Asked Questions about the Cash Back Program or find out if your name is on the list of unclaimed Cash Back. I have cash back, how do I claim it? Note: Heirs/beneficiaries of a deceased cooperative member can contact Member Services at 763.323.2650 to find out about our special process for estate requests. Estate payouts cannot be processed using the unclaimed property form. Print out a request form. Fill out the form and attach the required documentation. Return all documentation to: Connexus Energy, Attn: Cash Back Specialist, 14601 Ramsey Blvd., Ramsey MN 55303. After we receive your Unclaimed Cash Back form and documentation, we will validate the information. Your claim will be processed within 30 days and a check will be mailed to your current address - as shown in the Claimant Information section of the request form. Did the Cash Back Program replace Capital Credits? Yes, Cash Back is easier for members to understand. What is my Cash Back based on? Cash Back is based on your annual electric purchases from Connexus Energy. As a member of Connexus Energy, you may get Cash Back. Why don't you just lower my electric rates rather than give Cash Back? IRS regulations and the Connexus Energy bylaws make Cash Back the best way to share the benefits of being a member-owned utility. What happens to my Cash Back if I move out of the Connexus Energy territory? Any members who move out of the Connexus Energy territory after May 10, 2017 will receive a lump sum credit on their final bill. If the Cash Back credit is larger than the final bill, members will receive a check for the difference in six to eight weeks. Members who have moved out of the Connexus Energy territory prior to May 10, 2017 will continue to receive their Cash Back annually. A lump sum payment option is not available. What is the lump sum? The lump sum is the present value of all your Cash Back. Why didn't I receive a Cash Back credit on my final bill? Although you are a member of Connexus Energy, you may not have accrued a Cash Back balance. Typically, a member will begin to accrue Cash Back after approximately 15 months of service. Can I request the lump sum payment before I move? No, the discounted lump sum is only available after you move. I'm a former member and I have an allocation report that states I should receive money this year on the 20-Year FIFO (First In, First Out) program. When will I get my money? If your account balance is less than $100, you will get $10 of your Cash Back this year. If it is less than $50, we’ll give you the total balance. If your account balance is more than $100, you will receive 4.0% of your balance back as a Cash Back payment this year. If you became a former member in 1994 or before, and still hold a balance, you will receive 100% of your balance as a Cash Back payment this year. Thousands of former Connexus Energy members have unclaimed Cash Back. Find out if you are one of them. Thousands of former Connexus Energy members have unclaimed Cash Back waiting for them. Are you one of them? To find out, follow the instructions below. Find your name on our Unclaimed Cash Back list by selecting the first letter of your last name. If you do not find your name on the list, you do not have unclaimed Cash Back. See your name on the list? Click here for the Cash Back request form. Is this check real? Can I cash this? Yes – your Cash Back is based on your past electric purchases while you were a member of Connexus Energy (you may have done business with us when we were known as Anoka Electric Cooperative). Why am I getting this check? You are receiving this check because of past electric purchases while you were a member of Connexus Energy. 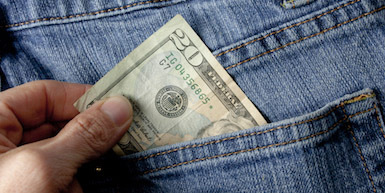 Returning cash back is one of the benefits of being a member of a Cooperative. The check is made out to someone else who is now deceased. What do I do? You will need to complete the Cash Back Estate Form and attach the required documentation, then sign in the presence of a notary public and return to Connexus Energy. If you are unable to cash the check, please void it and send it back with your completed estate paperwork. We will then reissue the check to the designated beneficiary along with any remaining Cash Back owed (if any). Your claim will be processed within 30 days. A check came to my address but it’s not for me. What do I do? This check is made out to my ex-spouse, what do I do? Checks are issued in the name of the primary account holder. The credit can be split. The Divorce Dissolution Request must be completed, signed, and notarized by both parties. A one-time charge of $25 will apply. All future cash back payments will be split 50/50. How much of my Cash Back is left? If you are receiving your “Final Cash Back” letter, you will not receive any further payments. If your check does not include the Final Cash Back letter than you will continue to receive cash back payments until your total cash back is paid in full. How much time do I have to deposit this check? It's best to deposit it right away. You need to cash the check within 180 days otherwise it will be voided. If you miss that deadline, there is a $10 fee to reissue it. Otherwise, the amount will be included with the next year payout. My check is larger than normal - is it a mistake? Cash Back is returned to members over a number of years. If you moved out of our service territory before 1993, you are receiving your final Cash Back payout, which can be significantly larger than the previous years. Your letter should indicate that this is your final payment.